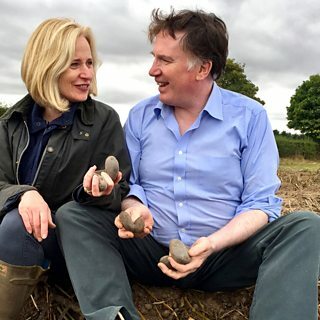 Explore the exotic world of the heritage potato with Caz Graham. 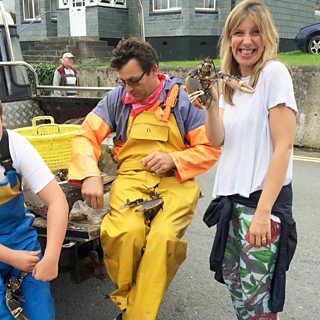 Ruth Sanderson joins a Cornish lobster fisherman as a busy summer season comes to an end. 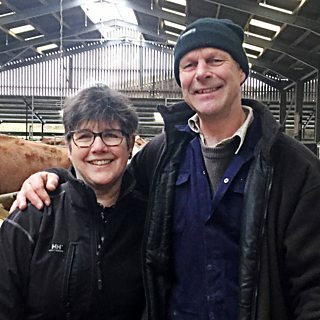 Ruth Sanderson visits a dairy in Somerset to see their new cheese-turning robot. 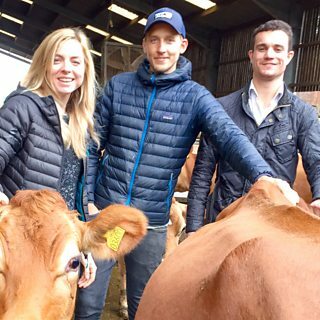 Sybil Ruscoe joins beef farmer Luke Hasell who wanted more people to enjoy his land. 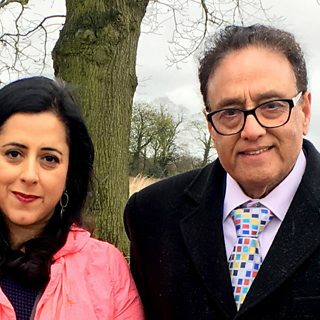 Sybil Ruscoe meets the Chahal family, whose vineyard has won them international accolades. 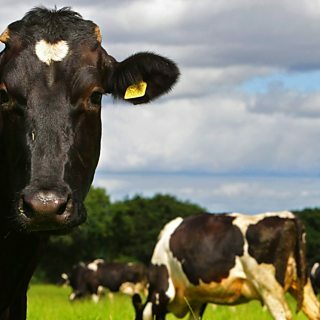 Is the milk in your coffee as important as the beans? 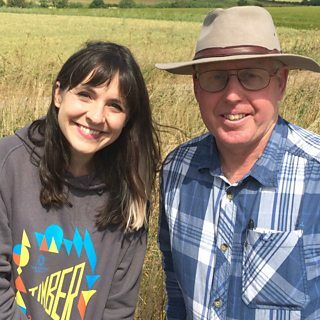 Meet the farmer who thinks it is. 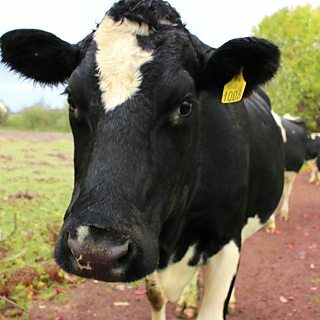 How do you farm the land around Glasgow's water supply? Nancy Nicolson finds out. 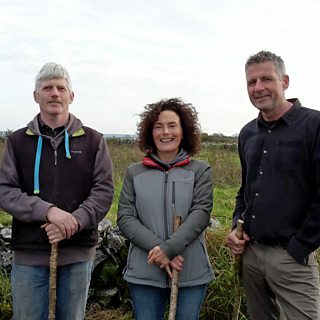 Ella McSweeney is in the Burren to take part in a cattle drive up to the winter pastures. 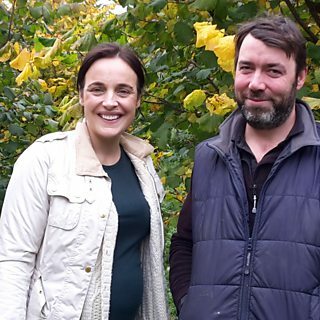 Ella McSweeney meets an Irish dairy farmer who is branching out into hazelnuts. 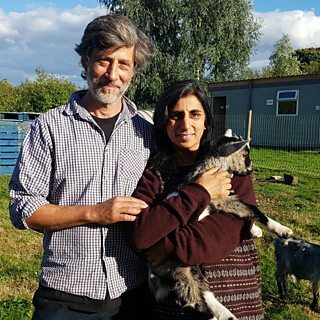 Meet the Radwan family, raising halal lamb and poultry in Oxfordshire. 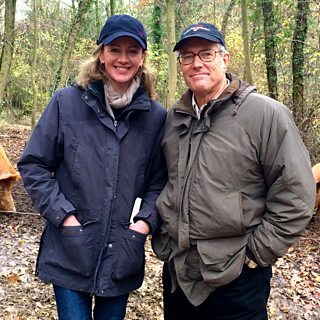 Sybil Ruscoe meets renowned American agricultural pioneer Joel Salatin. 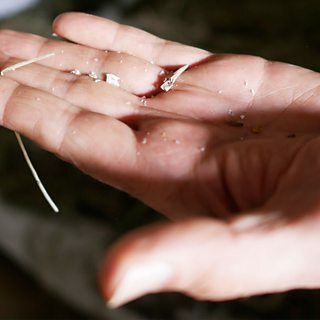 Tom Heap meets the Banack family, farming 7,000 acres of prime Canadian prairie. Ruth Sanderson surveys the agriculture in the hills above Belfast. 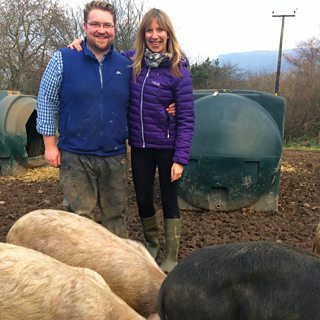 Ruth Sanderson visits a farmer who is making chorizo from his herd of free range pigs. 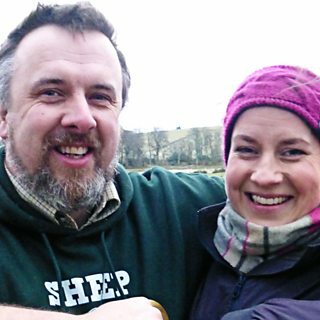 Caz Graham meets Hannah Jackson, a young shepherd shaking up the world of sheep. 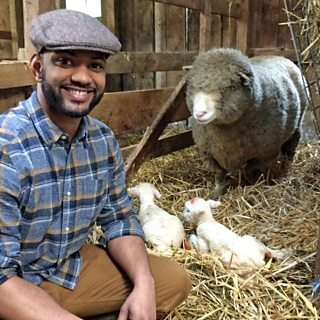 JB Gill helps out with lambing on a Cornish farm. 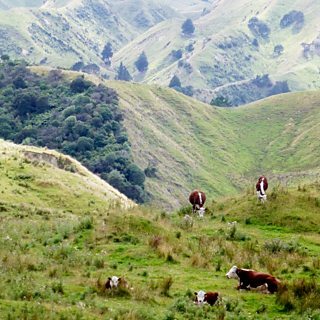 Meet the Shire folk that farm the land made famous in the Lord of the Rings films. 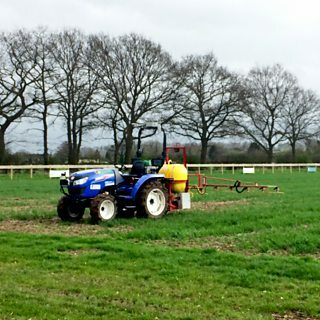 Two farmers debate the pros and cons of the controversial herbicide glyphosate. 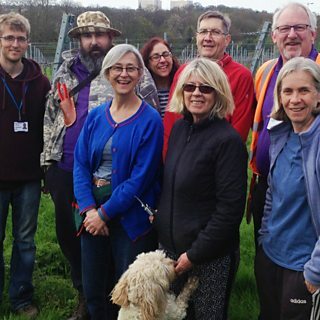 Philippa Hall meets the volunteers at London's first commercial-scale organic vineyard. 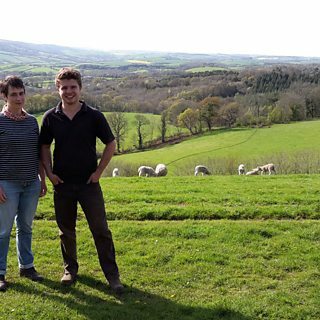 Sarah Swadling meets a dynamic young sheep farmer building a flock of 3 rare Devon breeds. 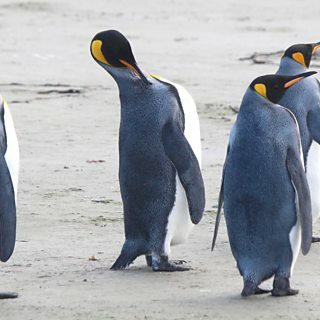 Peter Gibbs meets the Falkland Islands farmers making a living from sheep and penguins. 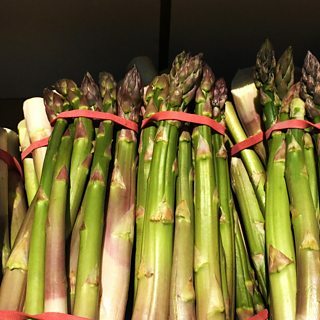 Formby asparagus was once a famous delicacy. 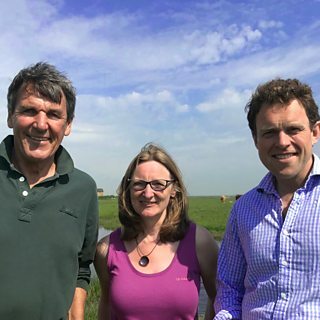 Caz Graham meets the last of the growers. 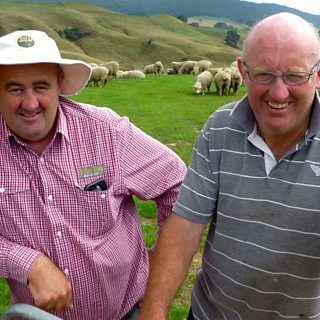 How do New Zealand farmers survive without state subsidy? Nancy Nicolson reports. 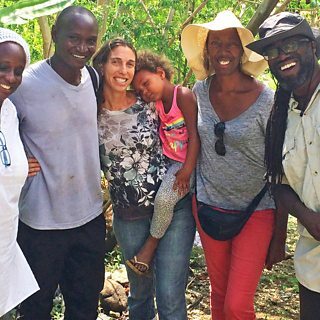 Nick Davies visits Source Farm in Jamaica, where organic farming is part of a revolution. 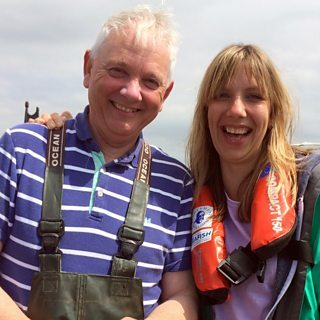 Ruth Sanderson meets eighth-generation eel fishermen on Lough Neagh in Northern Ireland. Caz Graham meets two Yorkshiremen beating the Russians at their own game. 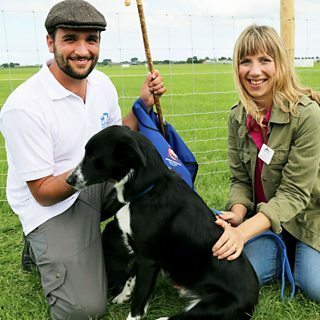 Ruth Sanderson meets two Israeli shepherds competing at their first World Sheepdog Trials. 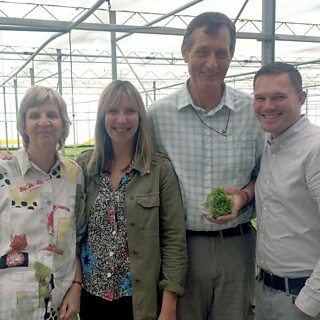 Ruth Sanderson meets Northern Ireland's King and Queen of Mash. 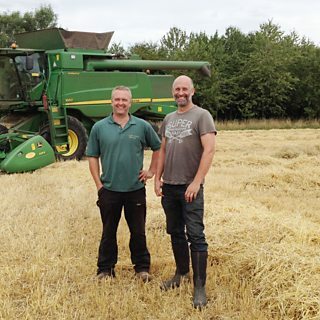 Caz Graham meets the modern-day gleaners, following behind the combine harvesters. 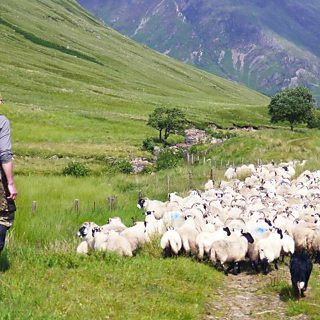 Nancy Nicolson gathers sheep from the dangerous slopes of Glencoe. 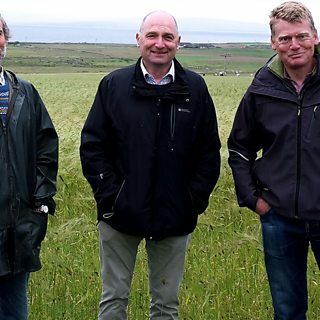 Tom Heap meets the farmers of bere, an ancient grain, grown on Orkney for centuries. 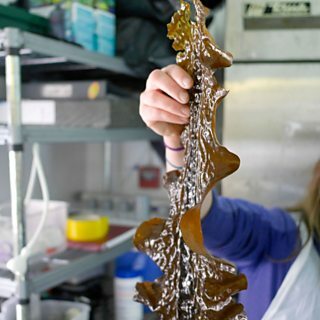 Dan Saladino discovers an innovative seaweed business on a small Northern Irish island. Dan Saladino goes far below the London streets, to a farm in a forgotten tunnel complex. 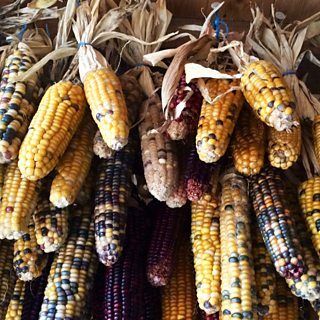 Dan Saladino meets a community-owned company thinking big about seeds and our food future. 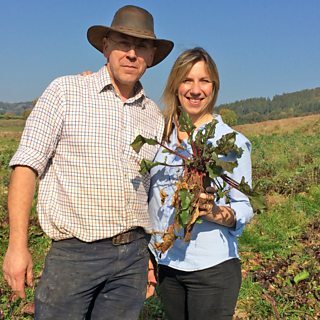 Charlotte Smith heads to a Worcestershire farm to help out with the hop harvest. 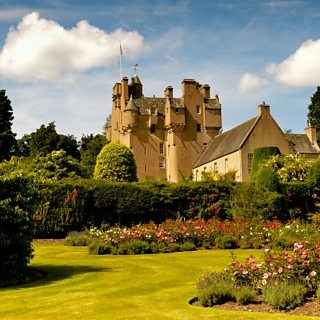 Join the workers on a Highland shooting estate for their end of season party. 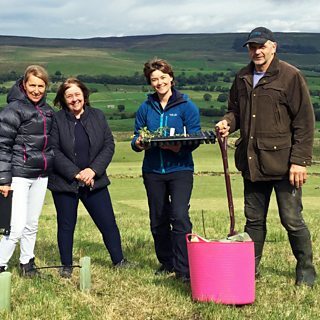 The Wensleydale farmer trying new ways to protect wildlife whilst growing his livestock. 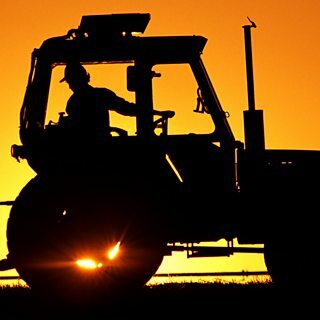 How does it feel to leave your farm for the last time? 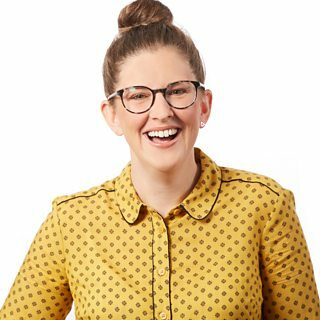 Caz Graham reports. 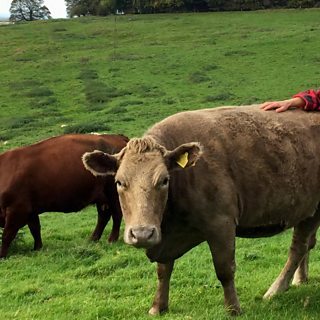 Rosamund Young is a Cotswold farmer who has spent decades getting to know her cows. 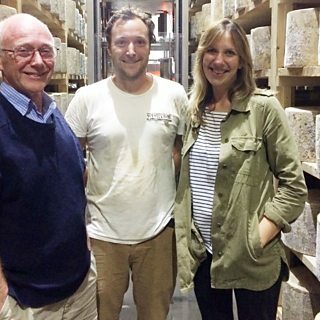 Pioneering craft cheesemaker Mary Quicke on the future of cheese exports. 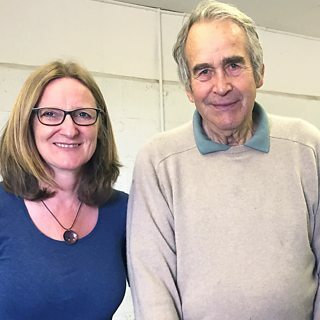 Charlotte Smith visits a Christmas farmers' fair at Sedgemoor Auction Centre. 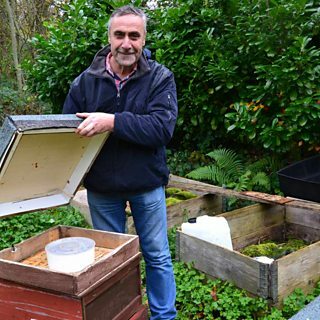 Syrian bee expert Dr Ryad Alsous on how he's teaching fellow refugees to be beekeepers. 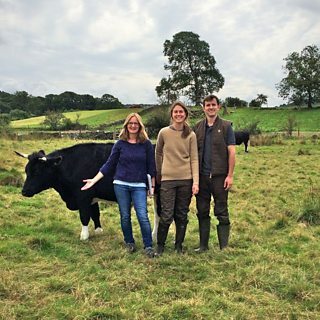 A Cumbrian couple tell Caz Graham about their novel way to start a beef farm from scratch. 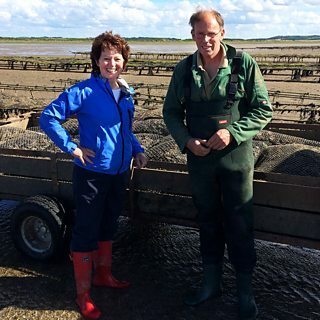 Exploring Pacific oyster farming on the Northumberland coast with Helen Mark. 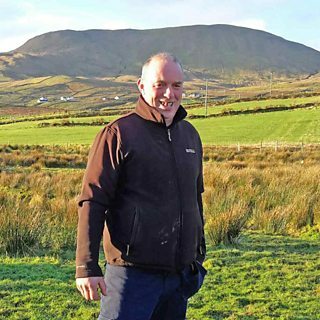 Sarah Swadling meets an Irish pig farmer operating on both sides of the border. 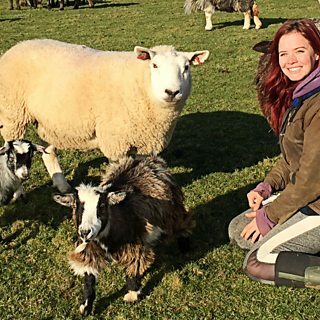 A passion for Merino wool fosters a partnership between a surfer and a shepherdess. 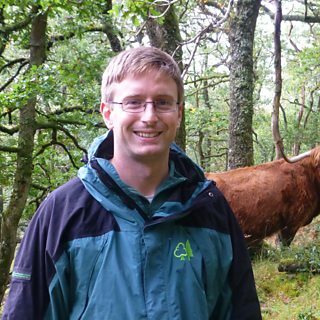 Can Scottish farmers continue to raise sheep in an uncertain future? Life on one of the most westerly farms in the British Isles, once home to a pirate queen. 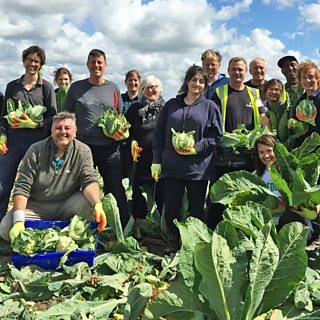 Riverford Organic announces a move to employee-ownership. What change will it bring? 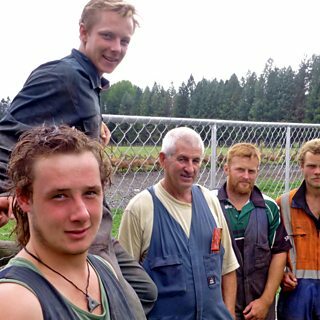 They take deer farming pretty seriously in New Zealand. 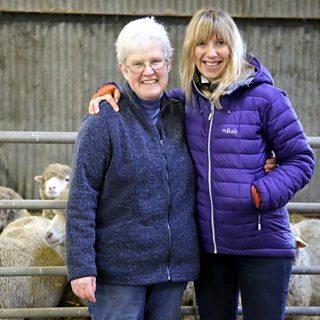 Nancy Nicolson tours a huge farm. 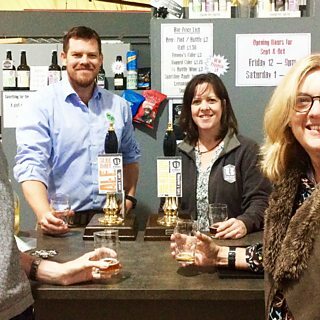 How do you turn a derelict croft into a thriving business? Moira Hickey finds out. 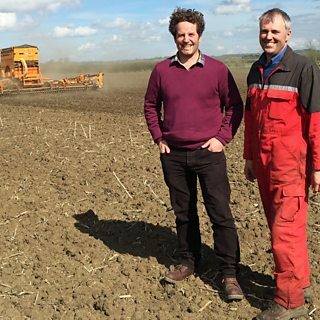 Could the future of farming be soil free? 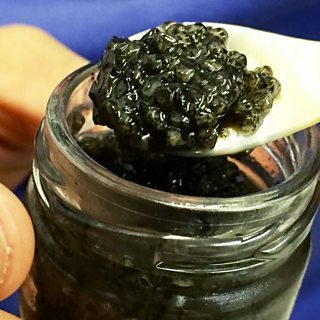 Nick Luscombe visits Japan to find out. 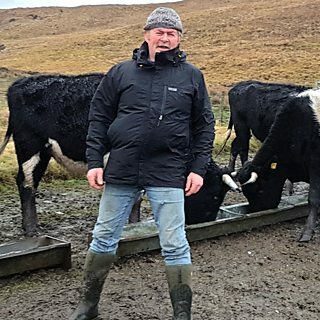 Caz Graham visits a farm near Dumfries dedicated to tourism. 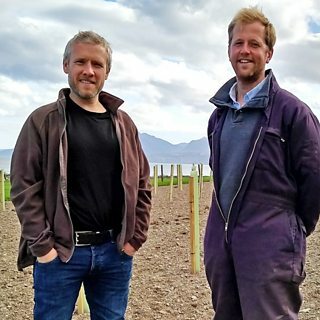 Ruth Sanderson meets a truffle farmer on the Isle of Bute. 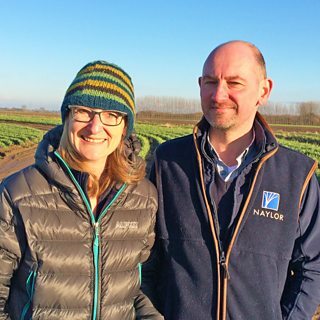 Visiting Harper Adams University's robotic farming project Hands Free Hectare. 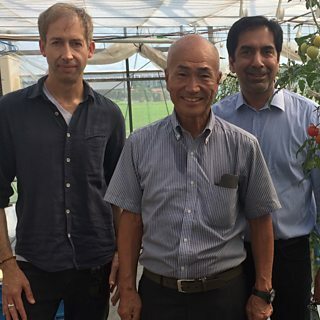 An app tracing the origins of food wants to change the way we produce and shop. The Kentish Cobnut is back in vogue, but what is so special about this particular nut? 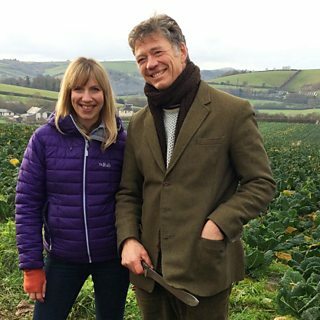 Meet the farmer who makes the cheese used in one of Britain's most eccentric traditions. 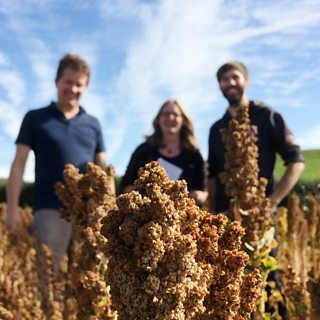 Running a commercial farm in a national nature reserve? Can it really work? 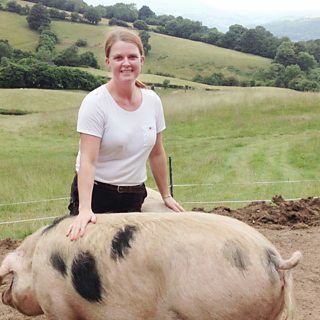 One woman's quest for happiness through pig-keeping. 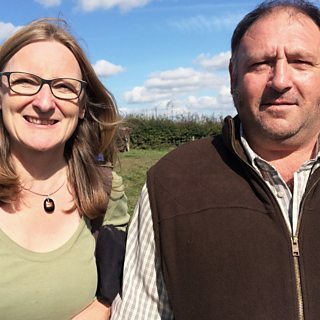 We meet the farmers of Nottinghamshire who still do things the medieval way. 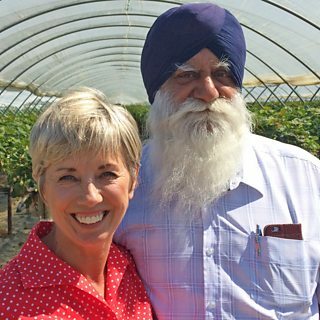 Sybil Ruscoe is in Worcestershire to meet the UK's only Asian strawberry producer. 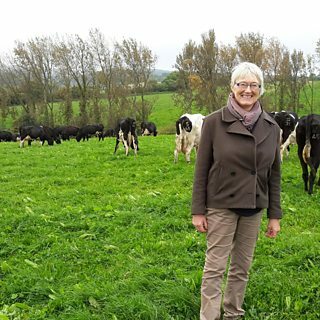 Ruth Sanderson helps move the cattle of Strangford Lough from island to island. 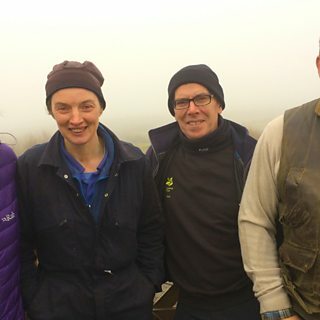 Sarah Swadling meets two Somerset farming neighbours who have joined forces to survive. 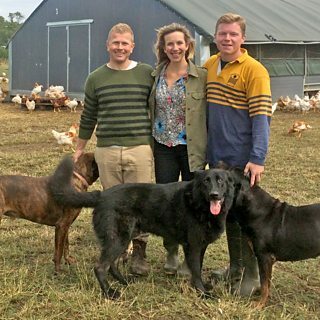 Fosse Meadows Farm chickens could be the happiest in the UK. Ruth Sanderson finds out why. 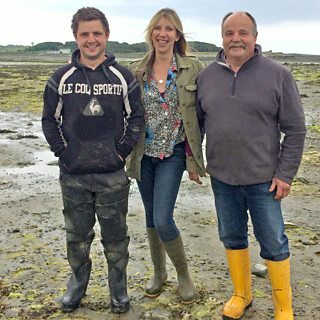 Ruth Sanderson meets a Northern Irish oyster farmer. 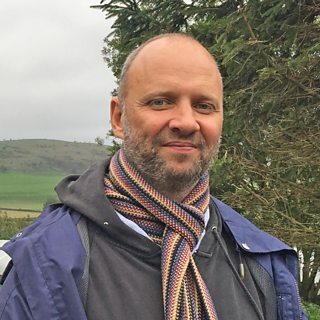 Michelin-starred chef turned farmer Simon Rogan gives a personal guided tour of his farm. 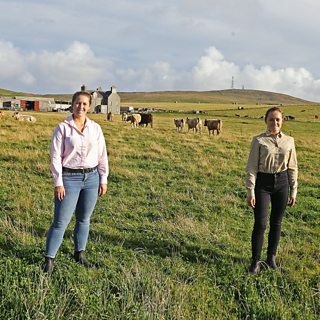 Meet the extraordinary Budge sisters, winners of the Countryfile Farming Hero award. 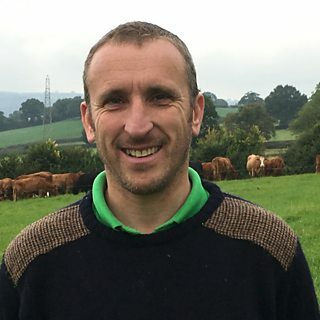 Caz Graham goes to Shropshire to meet farmer Stephen Jones, who loves to experiment. 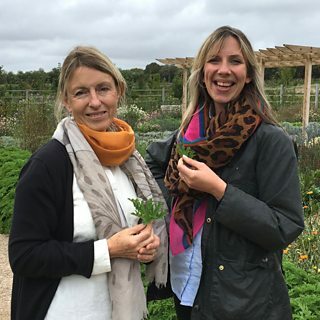 Ruth Sanderson meets growers in Dorset who make perfume from aromatic plants and flowers. 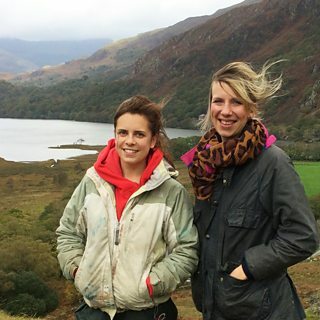 Ruth Sanderson meets Teleri Fielden, a young trainee shepherd in Snowdonia. 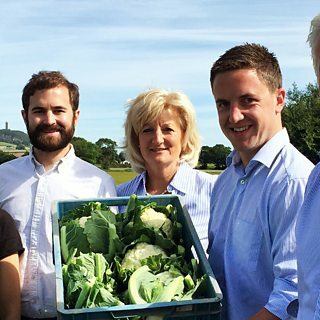 Meet the Banks family who serve food from their farm in their own pub. 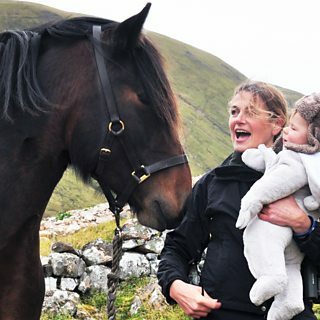 Shetland has its own sheep, cattle and ponies. 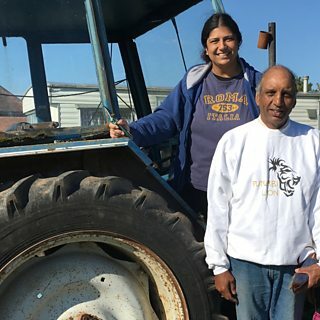 Can local farmers make money from them? 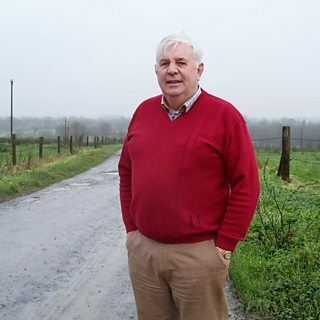 Intensive agriculture has rapidly changed rural Ireland. 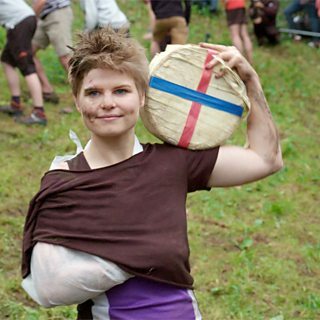 Can the damage be reversed? 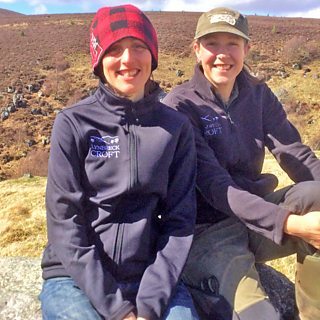 In a new approach to dairy farming the Finlays keep their calves with their mothers. 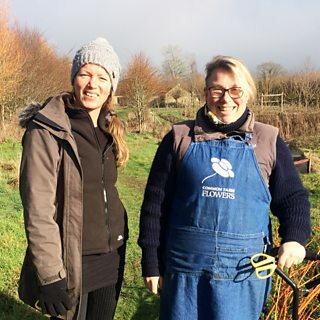 Verity Sharp visits a florist and flower farm in Somerset. 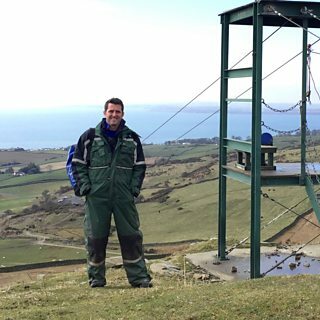 Matt Naylor is trying to make the countryside a friendlier place for LGBTQ people. 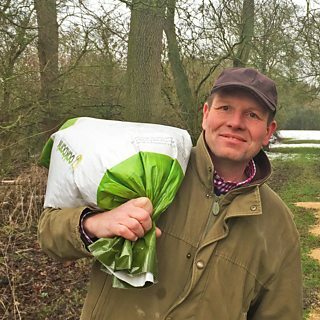 Martin Lines is proving influential in turning UK farming policy green. 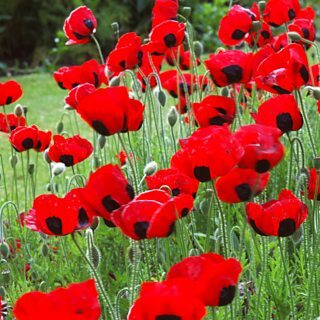 The first memorial to the Jallianwala Bagh massacre has been created in Britain. Alice Bentley takes you for a dip into life by the sea on the North Yorkshire coast. A breath of fresh air for a Thursday evening. 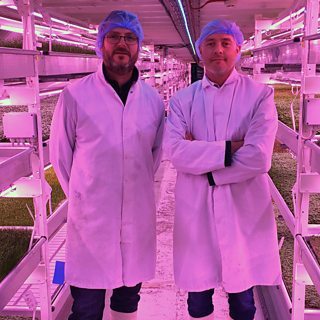 Inmates at Erlestoke grow food for the prison kitchens and shop. 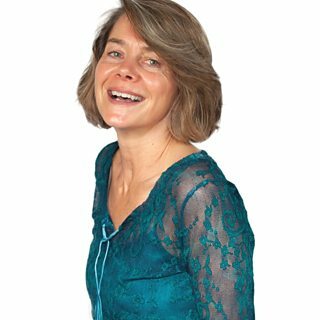 Cat chats to crime author GR Halliday.